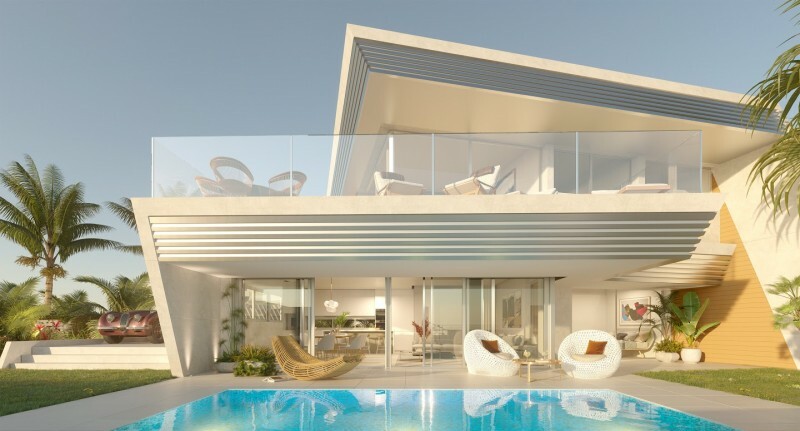 Eden, this is one of the most imaginative new developments currently being undertaken on the Costa del Sol. 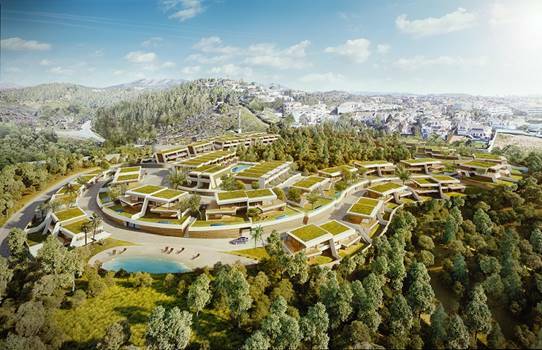 When you see the sinuous curve of the layout coupled with the elegant design of the building with their grassed roofs you know that this is going to be something special. 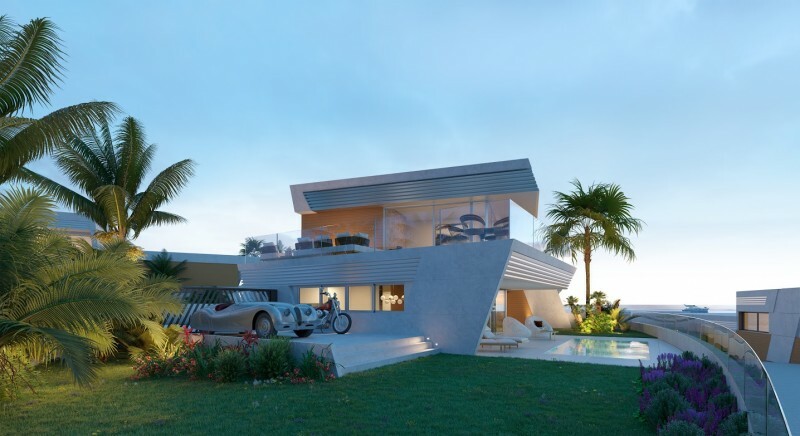 The development is planned to blend into its natural environment and the developers statement includes the fact that they want it to be at one with nature. The goal of healthy living extends to both the environment and the residents and the Eden Health club will provide gymnasium and social facilities together with tennis and even an on site tennis pro to help you inmprove your game. The Costa del Sol is home to a plethora of golf courses and whilst the development overlooks el Chaparral Golf you also have a tremendous choice of high standard courses with a 20 minute drive with Mijas and La Cala Golf being two of the closer ones. For other entertainments there are beautiful beaches on the doorstep and the resorts of La Cala de Mijas and Fuengirola are both about 10 minutes away. A little further is cosmopolitan Marbella and Malaga itself, which is one of the fastest growing tourist destinations on the coast. The properties offer you a choice of 3 and 4 bedroom layouts with private gardens and many with a private pool. Fixtures and fittings are of the highest quality with integrity of design showing all the way through the build. Internal and external living spaces blend seamlessly together to ensure that you can make the most of the Costa del Sol lifestyle. Open plan luxury fitted kitchens come with top brand appliances and the properties include under floor heating and air conditioning for year round comfort.